In recent years we’ve seen some incredible achievements by the underdog. Leicester City went from strong candidates for relegation to champions of the English Premier League in 2015/16. Euro 2016 saw a dogged Portugal side go all the way and several other nations punch above their weight, including Iceland (quarter finals) and Wales (semi finals). The one big achievement that still stands out to me though, even now, is Greece’s triumph at Euro 2004. 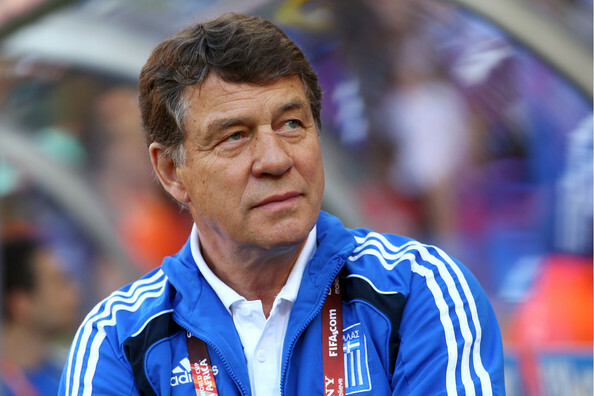 Otto Rehhagel’s Greece side was branded for being defensive and ‘parking the bus’, but that’s not a particularly fair representation of the work they did. Interchangeable tactics meant that Greece setup differently in almost every game on their route to the final. Each game was treated separately with different formations and tactics used on a game by game basis. In the group stages Greece were actually praised for playing some very possitive passing football. A 2-1 win over Portugal in their opening fixture was followed by a 1-1 draw against Spain, before a 2-1 defeat to Russia finished off what was a very difficult group for the Greeks. It wasn’t until the knockout phases that Greece switched to the heavily defensive setup that they’re now remembered for. Against very strong opposition a shift in tactics helped them to secure 1-0 wins over France, the Czech Republic and finally the hosts, Portugal. Even though they played a similar style in these last three victories, which revolved around a man marking system, the players positions would change depending on the opponent’s formation. The general idea was to man mark the attackers but keep a spare man at the back. Against a 4-4-2 formation (used by France in the quarter final) they had a back four, which phased to a back three depending on the situation. The two best positioned defenders would man mark the strikers. Thierry Henry would often drift over to the left wing so he was picked up by the right back, Seitaridis. This left a spare defender to operate as a sweeper and allowed the left back, Fyssas, to get forward and join the midfield. Against Portugal, who used a 4-2-3-1 formation with a lone striker, they used a back four again but in a slightly different way. The full backs pushed high up to mark the Portuguese wingers (Figo and Ronaldo), allowing one center back to man mark the striker (Pauleta) with the other left spare to sweep up. When Greece did attack it was via counter attacks or set piece situations, with all three goals in the latter stages coming from headers. The Euro 2004 champions shouldn’t be remembered for their defending alone, though they were very good at it. They should be regaled as a group that played to their strengths and collectively executed game plans, who worked hard for one another in a series of truly great team performances.